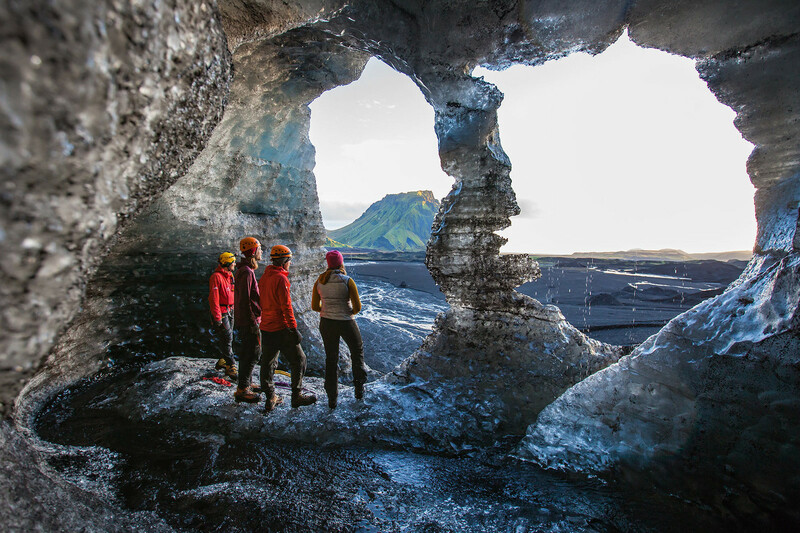 A one day adventure from Vík to the natural ice cave by Katla volcano in South Iceland. Discover the beauty of one of the country’s treasures. Don't miss this opportunity to visit the only accessible ice cave in this region. Please note: This tour is run by our selected partners Katla Track. This tour departs from Vík, if you are looking for a tour from Reykjavík, please take a look at the Secret Ice Cave from Reykjavík. The Katla Track Meeting point west of N1 gas station in Vík. Please be ready 15 minutes before departure time. We did the SecretIceCavetour that departs from Vik. It's only offered in April/May because the cavesare temporary, formed by the springtime melting of the glacier. I thought this 4-hour tour was a great way to get a taste of the glacier experience—ride in the big icetruck, strap some clampons to your shoes, and climb the cave—without committing to a much longer full-day hike.